In honor of DuSable Museum of African American History founder Dr. Margaret Burroughs, the theme for this year&apos;s arts & crafts fair is "Here&apos;s to You Dr. Margaret Burroughs: Connecting Black Art & History — Celebrating Excellence." Vendors will display historic art and other creations that relate to African American cultural history. A children&apos;s pavilion, beer garden and food vendors round out the two-day fair. Look out for popular blues singer Vance Kelly and a Stepper&apos;s party with DJ Casper and Sam Chatman on Saturday and legendary House DJ Farley "Jackmaster" Funk on Sunday. Influential Chicago musician Kelan Phillip Cohran was a galvanizing presence on the music scene: he played trumpet with the famous Sun Ra jazz Arkestra and helped found the ground-breaking Association for the Advancement of Creative Musicians. Locally, he helped train Chaka Khan and Earth Wind and Fire founder Maurice White. 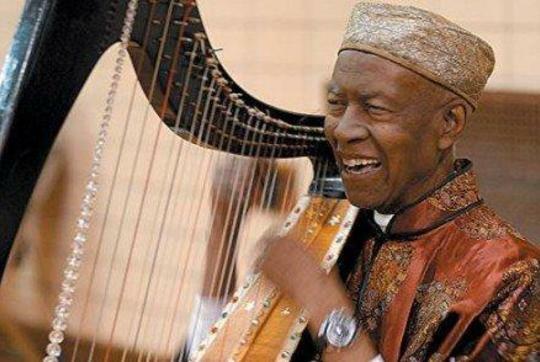 Cohran passed away shortly after his 90th birthday last month so a group of local musicians, poets and creative souls will honor his legacy with performances at the 63rd St. Beach pavilion on Sunday. The exciting line-up of performers include the Association for the Advancement of Creative Musicians, the Hypnotic Brass Ensemble, poet Quraysh Ali Lansana, singer Ugochi, storyteller Oba William King, rapper Ang 13 and the Najwa Dance Corps, among others. More ideas to build out your weekend itinerary: Plan a visit to the DuSable and check out the special exhibition EN MAS&apos;: Carnival and Performance Art of the Caribbean while you&apos;re there (on display now through August 13, 2017), and take time to explore more of the surrounding Hyde Park neighborhood too — area highlights include beautiful green spaces like Promontory Point and the many cultural institutions of Museum Campus South.